Mogan Shopping, founded in 2007, is one of Asia's largest (representative or deputy intermediary service) international online auction and shopping malls. We integrate the most famous and best Japanese auction and shopping sites (Yahoo Japan Auction, Rakuten and Yahoo Shopping), offering over 110 million items across 150,000 categories, all on one customizable platform with a powerful search engine. Mogan Shopping is based on service quality and secure, rapid shipping delivery. Shipping is sent from our warehouse in Japan to your specified address, worldwide. It is committed to high-security buyer protection with multiple and convenient payment options including Alipay and Bank Wire or Credit Transfer. Our experienced multi-lingual international customer service offers on-hand assistance to ensure your experience is assured and safe as if it were your local store by overcoming language barriers and any payment technical difficulties. We also offer the option to buy for you via our 'Buy For Me' order request form. In the future, Mogan Shopping aims to widen its service to further assist customers across the online global shopping world with streamlined bid and buy experiences with eBay, Taobao, Amazon Japan and many other major online shopping malls around the world. User is able to search in simplified Chinese. Mogan Global Online Shopping, Inc. signs an agreement with PayPal Corporation establishing a strategic and capital alliance partner. Users are given the option to communicate with Yahoo! 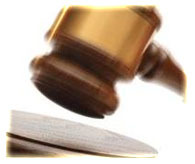 Japan sellers directly, a pioneering development within the auction deputy service sector. Mogan Global Online Shopping, Inc. signs an agreement with HSBC Corporation (payment method) establishing a strategic and capital alliance partner. Multiple purchasing consumer benefits and account balance statements (via My Account) are included into Mogan Global Online Shopping, Inc. service. Users are able to search in Traditional Chinese, a pioneer development within the auction deputy service sector. Mogan Global Online Shopping, Inc. signs an agreement with Alipay Corporation (established by Alibaba, Inc.) establishing a strategic and capital alliance partner. Alipay payment method is adapted into Mogan Global Online Shopping, Inc. service. Web ATM is adapted into Mogan Global Online Shopping, Inc. service. "Mogan International Online Shopping", Inc is renamed to "Mogan Global Online Shopping"Inc.
Mogan International Online Shopping Inc. was found. 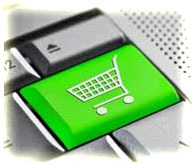 Mogan Shopping enables automated real-time auction bidding, with a streamlined hassle-free biding process. Please note however, that we cannot accept any cancellations after making an order or bid, even after placing a bid on your requested auction before the scheduled closing time. If you win an auction bid, we will pay the seller the item price from your Mogan account, otherwise we will refund the full amount within 48 hours if your bid was unsuccessful. SHIPPING CONSOLIDATION: If you purchase up to 10 items, from the same seller or store our service fee will ONLY charge per package instead of per item.